Last April we were all living for the drama of Fyre Festival, the music and lifestyle festival that Ja Rule was co-sponsoring in the Bahamas that devolved into “mass chaos” and resulted in the fest’s founder and entrepreneur Billy McFarland pleading guilty to fraud. Now you can relive it all with a new docuseries coming to Hulu in 2019. 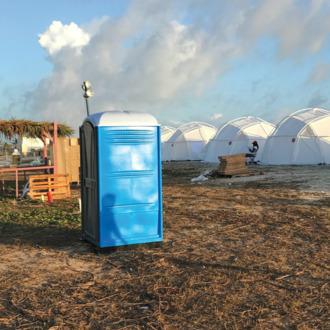 Billboard, Mic, and the Cinemart will co-produce the show, which, according to The Hollywood Reporter, will have interviews with Bahamanian residents, Fyre Fest ticket holders who got stranded on the island when the whole thing fell apart, vendors, and investors, all talking about how the event went sideways. (Maybe someone will even talk about that big yacht that was specially arranged for Blink-182.) There will also reportedly be exclusive new footage, and leaked materials including documents, emails, and recordings that are presumably either damaging or unflattering for folks in charge like McFarland.